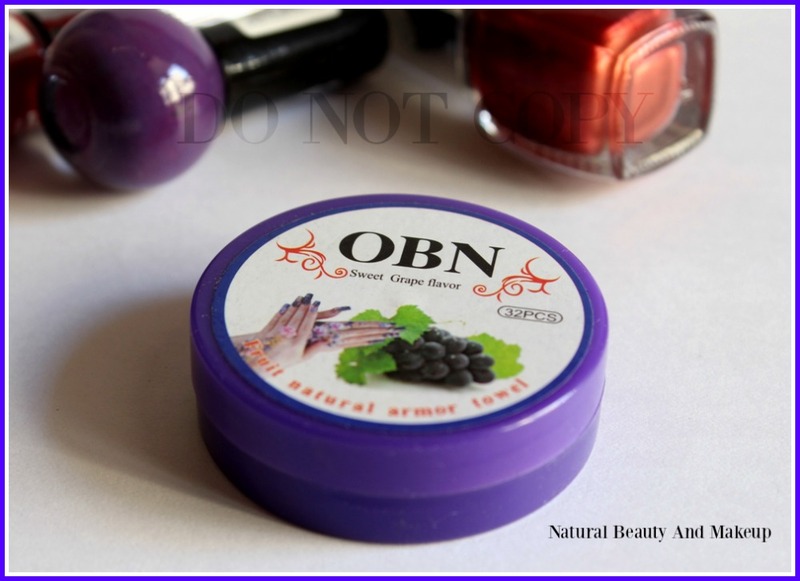 OBN (Fruit Natural Armor Towel) Nail Polish Remover is a made in China product. It claims that new formula is not greasy, moisturizing and easy to clean. It contains 32 pieces of cotton. 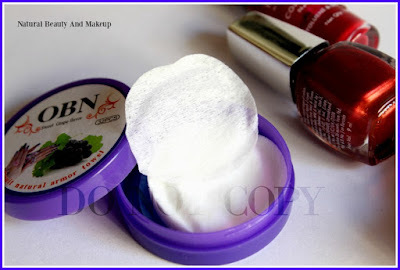 Take makeup-remover cotton affixed to need discharge makeup nail. Gently wipe, which can remove the nail polish and moisturizes. The nail polish remover wipes come packed in a lavender coloured round-shaped container with a sturdy lid. All the necessary product related details are furnished on the back of the packaging. Overall, it has a simple yet practical packaging! 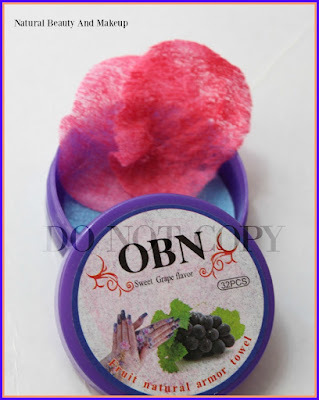 The acetone-free OBN nail remover pads come in different fruit fragrances and amongst them, I chose Sweet Grape Flavor. The pre-moistened wipes are very easy to use. After removing the nail paints, you can easily wash your hands with plain water and you are good to go😉 The formula is non-greasy and acts like a conditioner as it makes your nails feel moisturized and look healthy. I didn’t need to run for a moisturizer to apply post its usage. 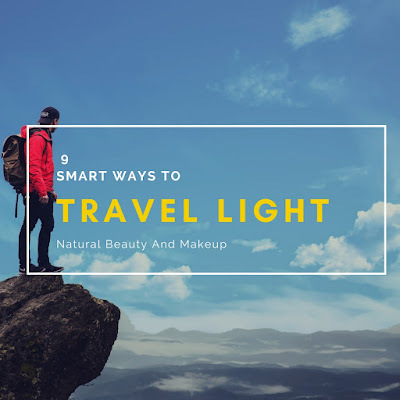 However, be aware of the fact that it highly stains the cloth material so try to remove your nail polish away from your good clothes. Keep the used wipes on table/plastic stuff or just throw them immediately post removing the nail paints! Not that effective in removing dark nail polishes at one go! 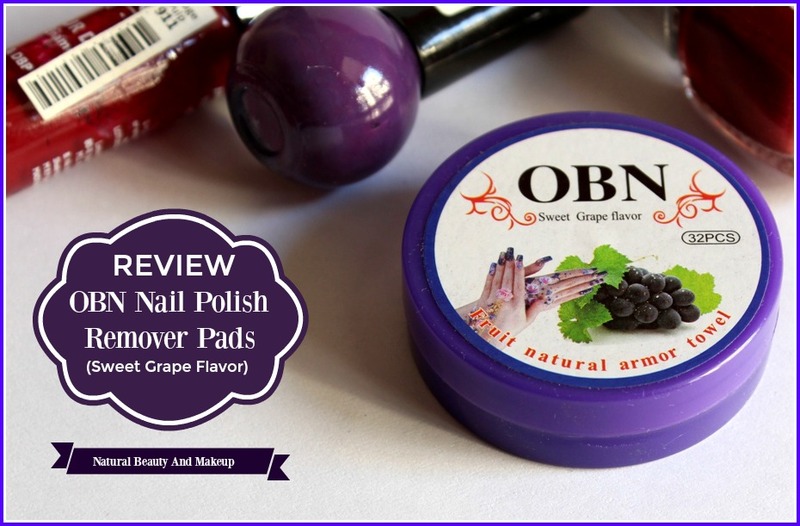 In short, OBN (sweet grape flavour) nail polish remover wipes are great for removing nail polish with ease, making the nails look smooth and hydrated. It contains 32 pieces of wipes so if you use it on a regular basis, it may not last long. However, it comes at a very reasonable price hence buying too many of them will not burn a hole in your pocket! I truly liked this product and look forward to trying its other variants too. 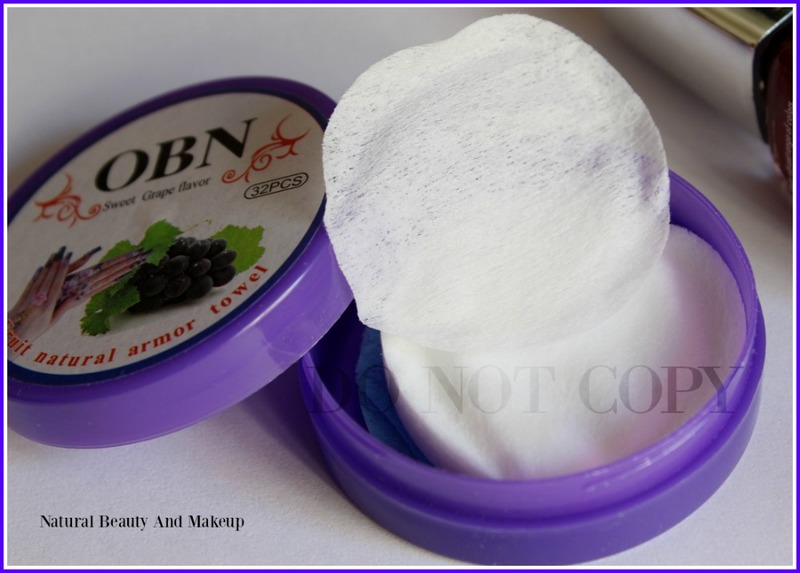 If you are on a lookout for budget-friendly and gentle nail polish remover wipes then you must give this product a shot! Have You Ever Tried OBN Nail Polish Remover Pads In Sweet Grape Flavor Fragrance? If Yes, Do Share Your Experience With Us In The Comment Section Below. 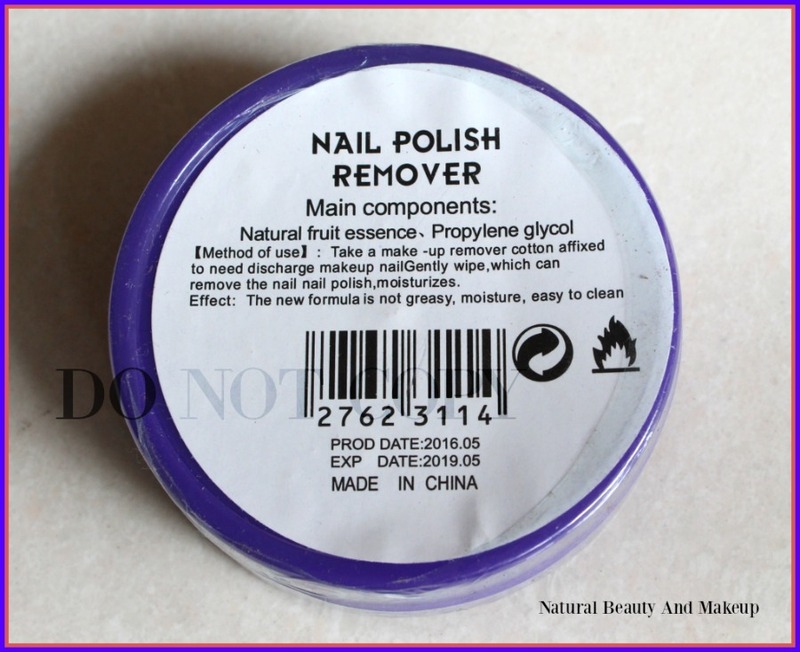 Is the smell much stronger than other nail polish removers? All of them do seem to have a certain scent, but is this worse? Been looking for this kind of nail remover, nice to find it here. This was really interesting to read! 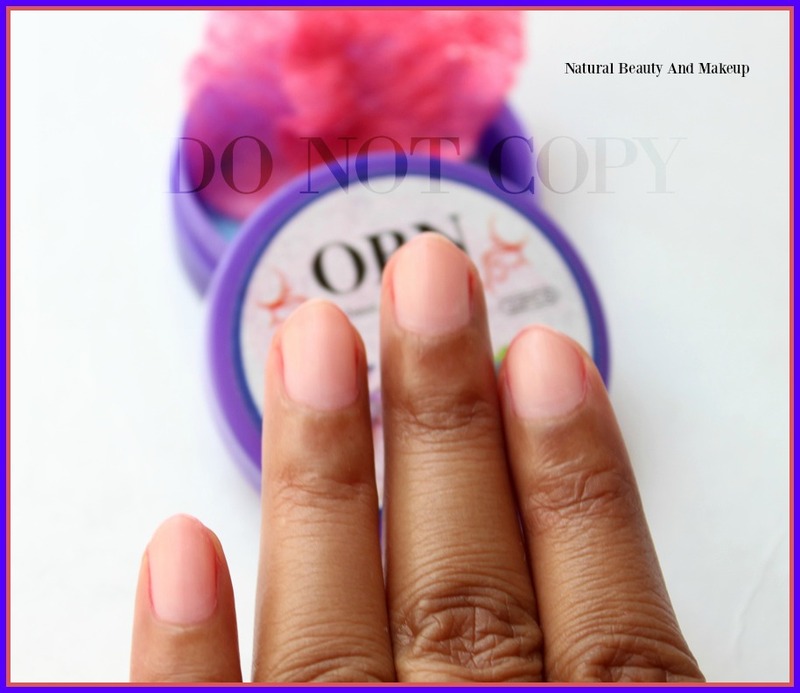 I haven't tried nail polish wipes and your post was such a great review and helped me. Thank you! Thank you Rashmi for stopping by!